Shawn Labadie, founder and artistic director of Inspire Arts Collective, has created a unique dance class in Hampton that caters to the empowerment of women. Every weekend inside of the Performing Arts Connection dance studio in Hampton, Inspire Arts Collective LLC holds dance classes for people of all experience levels. The company was founded by Shawn Labadie who makes it her mission to ignite hope, equip artists, and challenge the status quo through dance. Labadie began practicing the art of dance from a very young age. She started dancing in her church at the age of nine where her instructor was an Alvin Ailey trained dancer. By 19, she started practicing ballet and began traveling to take dance workshops from industry professionals. “I’ve pretty much experienced every technique of dance and have taken all sorts of dance classes, but hip-hop just really resonates with me,” she said. Shawn decided that she wanted to pursue dance professionally. Eventually, she came to the conclusion that she wanted to open a dance company and teach the art of dance to others. “Me creating a dance company in some way it was apart of me answering a need I feel as a dancer," Labadie said. 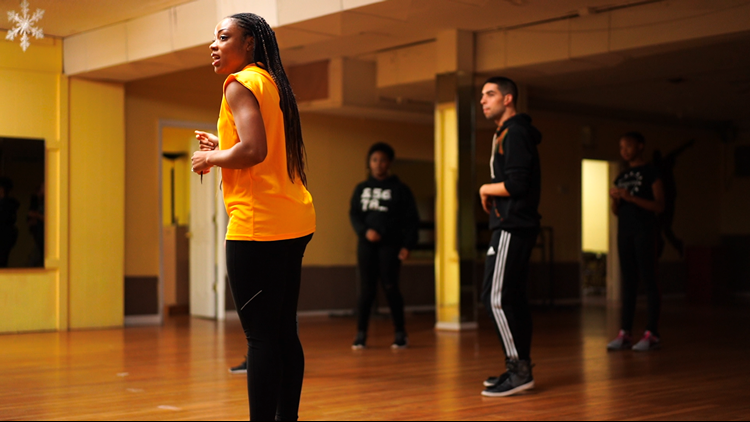 Inspire Arts Collective has Beginner Hip-Hop on Saturday mornings for ages seven and up, an advanced class for adults called "Urban and Stylez" on Sundays at 5:30 p.m., and then right after, at 6:30 p.m., they have an all-adult female class called “WOMAN”. Ashlei Warren, an assistant instructor and student, has been attending classes at Inspire for more than a year now and admits that she was nervous in the beginning. However, her anxiety quickly subsided as soon as she stepped foot into the WOMAN class. Mary Hall is a student who has been attending classes at Inspire for the past three years, shortly after Shawn opened the company. Hall mainly attends the WOMAN class and heard about it initially through a friend. 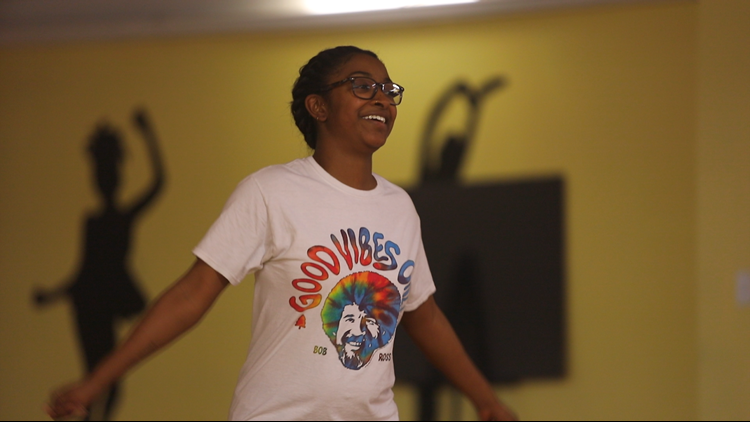 She has taken her fair share of dance classes from aerobics to Zumba in many different gyms but says that she has never experienced anything like Inspire Arts Collective before. “Sometimes when you go to classes in gyms, there can be a very competitive atmosphere. There can be intimidation, fear, or even some prejudice but this place is nothing like that at all,” Hall stated. Both Mary and Ashlei proclaim Inspire Arts Collective’s WOMAN class to be both a challenging and empowering experience. Labadie said that her reason for creating the class derived from her own growing pains. Warren also stated that what makes the WOMAN class so special are the personal connections that you make with others. She receives a level of support from the other women that help keep her motivated and encouraged. 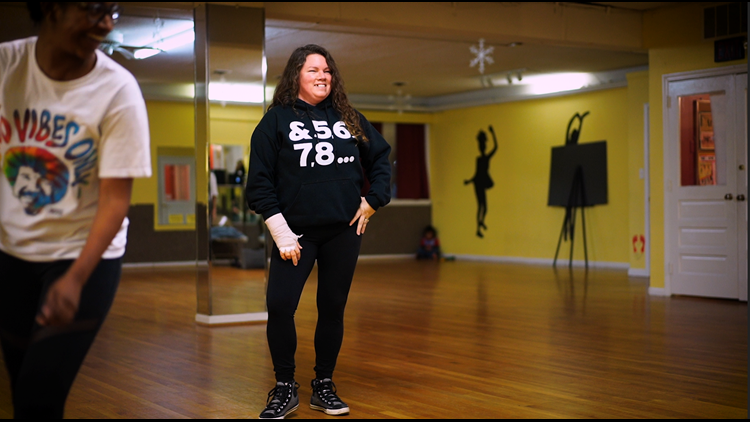 Mary admits that she doesn’t possess a background in hip-hop dance and sometimes struggles to keep up, but this class has taught her to persevere through the tough moments even when she feels like giving up. 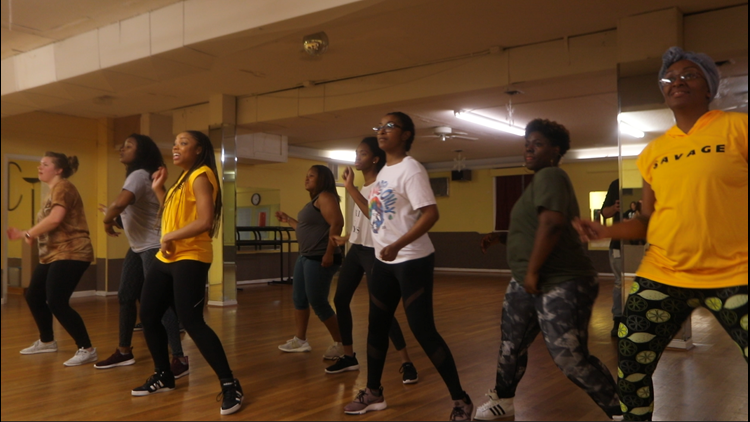 According to Labadie, Inspire Arts Collective is the only dance company in Hampton that offers hip hop classes and dance classes that empower women for all levels on the peninsula. She hopes that women that come to take this class not only leave with some new dance moves to add to their repertoire (if they have one) but to also walk away with a deeper lesson. “I hope that women who come to our class realize that they are enough. That no matter what anyone says, you as a person are enough. I not only want them to dance and to have a good time but I want them to feel empowered in dance. I want them to take the lessons that they have learned in dance and take them out into the world,” Labadie stated. Since we wrapped filming of Inspire Arts Collective’s documentary, Shawn and her family have relocated to Chicago. Labadie has taken it upon herself to start a new WOMAN class based in the Windy City and plans to continue the Inspire Arts Collective legacy in the Midwest. 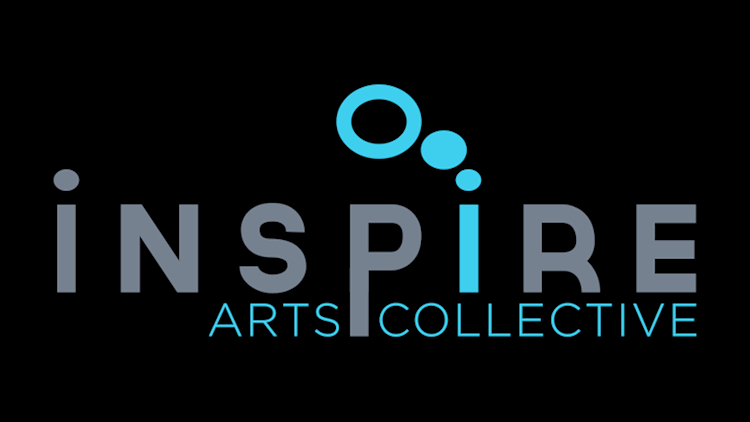 If you would like to learn more about Inspire Arts Collective, you can visit their website or follow them on their Instagram or Facebook. The MUSE Project is an original, digital, mini-documentary series produced by 13News Now. It profiles artists and entertainers who live in the Hampton Roads region and are making significant strides in their careers and in the community. The series not only highlights artistic individuals but features unique arts that have become a vibrant part of Hampton Roads' urban culture.